songs, but instead of weaving their own shadowy tales into their latest studio effort, Oh, Willie, Please..., the DC-by-way-of-Kentucky alt-folk collective have tapped into the wellspring of traditional folk's darker side. Inspired by their recent participation in The 78 Project, the group gathered in a majestic old home on a picturesque horse farm in Lexington, Kentucky in the spring of 2012 and set to work re-imagining a collection of age-old murder ballads & songs of self ruin plucked almost entirely from the public domain. With longtime producer Duane Lundy once again at the helm, Vandaveer moved swiftly through the selected catalog, recording most of the tracks live in the manor's great room. The result is a spacious, honest album that balances reverence and respect for the source material with a healthy coat of contemporary color. 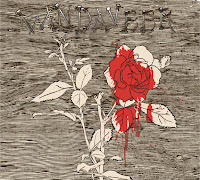 Vandaveer's Oh, Willie, Please... will be released in North America April 30th on CD, limited edition vinyl and digital formats, courtesy of Quack!Media.